Want your child to learn the secret of lifting heavy objects? Did you know you could lift a 1kg weight like a feather using a few simple contraptions? 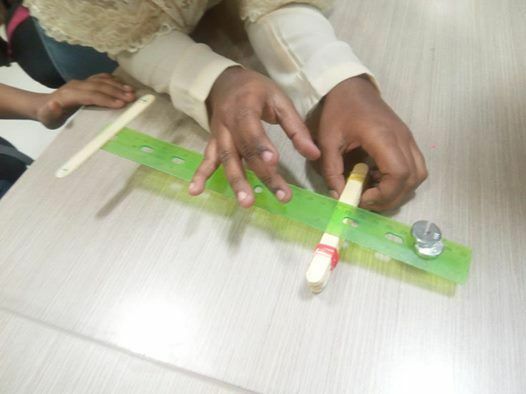 The secrets will be revealed in this fun and engaging workshop on Simple Machines! This is a powerful concept taken for granted because it is very 'simple'. The feeling one gets when using combinations of simple machine is quite exciting. In this workshop, children will get to experience the effortlessness while using mechanical systems such as lever systems, pulleys etc. They will be given an overall view of concepts such as Effort, Load, Fulcrum, Friction, Weight etc. 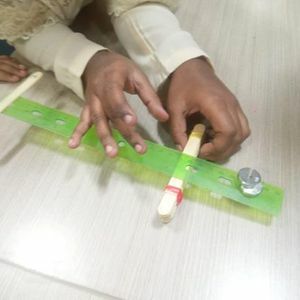 At the end of the day, they will be able to identify simple machines in their everyday lives and put them to use to make everyday chores easier. Objective: Apply Newton's laws to simple machines and understand mechanical advantage through hands-on activities.